FOUR TASK-DEPENDENT SCANNING MODES – Switch to desired mode as necessary. STUD SCAN is used for finding and locating the center and edges of wood or metal studs up to ¾ in (19mm) deep; DEEP SCAN is used for scanning deeper walls with a thickness up to 1½ in (38mm); METAL SCAN for locating and detecting metal (such as ½ inch rebar) up to approximately. 2¼ in (60mm) deep; and AC SCAN for locating live AC wires up to 2 in (51mm) deep. GRAPHICAL LCD DISPLAY – This display indicates many cues in detection, such as detection mode, signal strength, automatic calibration, and battery indication, all with maximum readability. The Low Battery Indicator icon displays when the battery level is getting low, reminding you to replace a brand new 9-Volt battery in time. 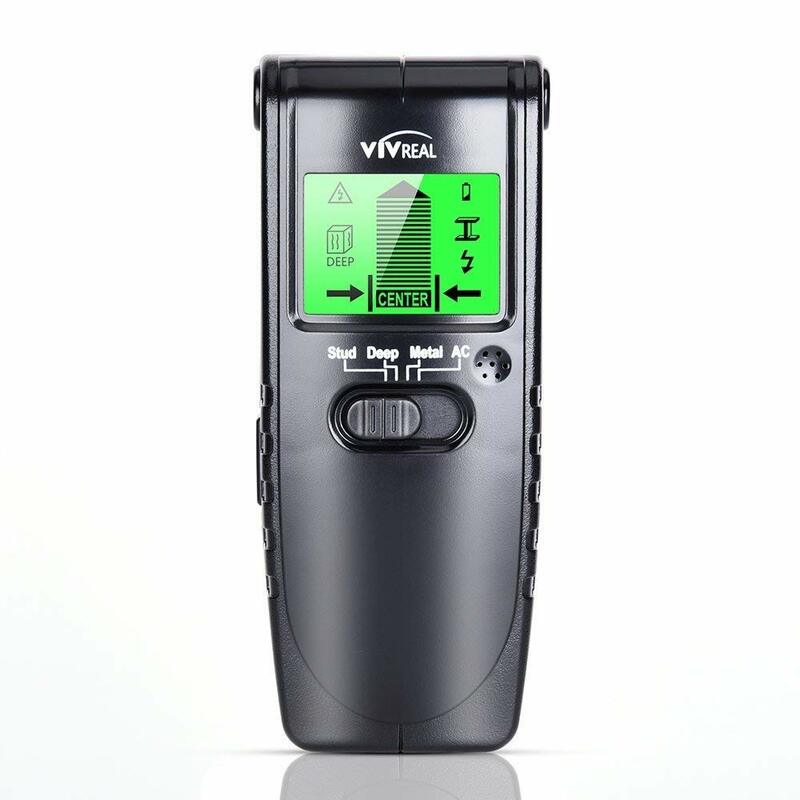 AUTOMATIC CALIBRATION – The wall detector stud finder will AUTOMATICALLY CALIBRATE ITSELF when it is turned on. The calibration is done by positioning the device on the wall where there are no wood studs, AC wires, or, metal. The stud finder will indicate whether it has been already calibrated or not. The automatic calibration is accurate and precise, providing users with maximum reliability, greatly reducing errors in application and makes sure that most objects behind the wall can be detected. SIMPLE AND FAST – The stud finder wall scanner can QUICKLY LOCATE the edges and center of metal studs, pipes, rebar, joists behind walls, floors and ceilings as well as live AC wires. Fast detection saves users time and effort, making the task completion EASIER.